As the sun sets on the Geneva Motor Show press days, I thought I’d take a tour of the show floor and do a different sort of round up. The kind of round up that involves staring (for a bit too long, admittedly) at a bunch of massive wings glued to the back of cars that either don’t exist or I’ll never be able to afford. If you’re going to start anywhere, a bright green Porsche 911 GT3 RS is probably the best place. Lamborghini’s Huracan Performante Spyder gets a marbled carbon fiber job. It’s not exactly understated but then again neither’s the rest of the car. It’s really the wing that gives the Bugatti Chiron Sport its edge. Not its 1500hp 8.0-liter W16 motor, no sir. 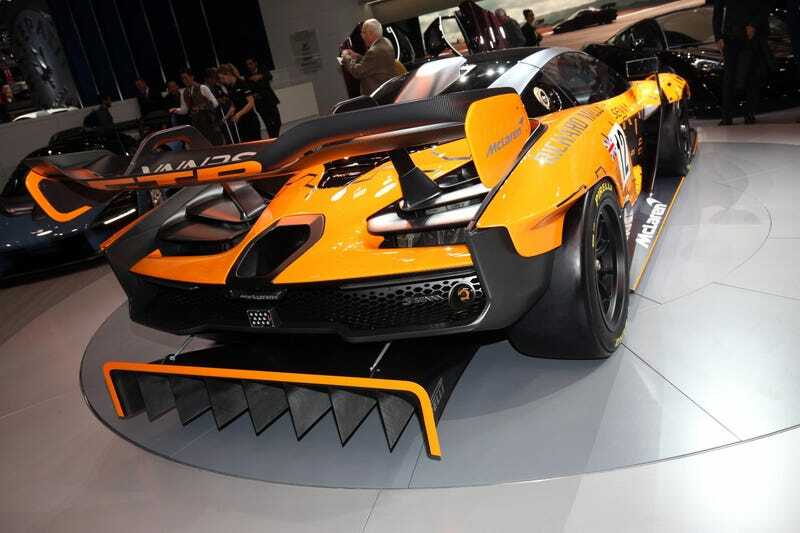 Koenigsegg prefers to keep its wing hidden until it’s absolutely necessary. For some reason Hennessey brought the Venom F5 to Geneva. Anyway, it had a nice wing, if a crazily reflective one. This may be the best of the bunch. In fact... it is. Hello there, Aston Martin Valkyrie AMR Pro. You’re ridiculous and therefore brilliant. Is the wing as conceptual as the rest of the GR Supra Racing Concept? Honda provided many, many Civic Type R wings. And they were all wonderful. Finally, McLaren’s active effort on the Senna GTR. I mean, damn. All in all, a good motor show, and a promising development in the ongoing war on physics. How Much Will The New Toyota Supra Cost?